Records management for the oil and gas industry is an on-going challenge. The industry is not only one of the most complex and regulated but in a constant state of change with mergers, acquisitions, and divestitures - the ease in which records can be tracked, managed, and audited is crucial. The sheer size and volume of infrastructure also presents a unique records management challenge. For example, the highly integrated U.S. natural gas pipeline network consists of about 2.1 million miles of distribution mains and service pipelines. Natural gas supplies nearly one-fourth of all the energy used in the United States. These pipelines deliver natural gas to homes and businesses through local distribution lines from local distribution companies. 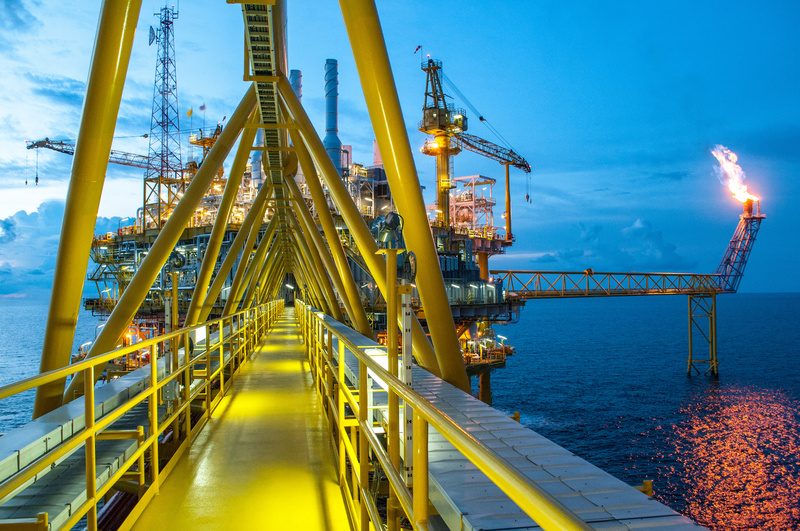 With increased and varied information, M&A growth, oil & gas companies can leverage an integrated information management framework to reduce risk and to stay competitive in a volatile market. There are numerous challenges in relation to plants, rigs, pipelines, land management, and production activities. Leases and lease tracking add an additional stress to the process. There's also the information that resides in unstructured documents—lacking formal structure such as correspondence, contracts, title records, and correspondence deeds. It can be time consuming to dig deep into documentation to find information. Extracting the information is challenging and can result in costly errors, leading to legal and regulatory implications. In addition, records and information could be hiding in disconnected locations. Many companies have internal file rooms and/or offsite warehouses that have active paper records kept for auditing purposes. Locating these documents without a connected, web-based file tracking system is very time consuming. Imagine paper documents hiding in file cabinets across all locations, departments, offices - locating what's needed can be overwhelming. A simple file tracking system is part of a larger records management solution - this allows companies to get visibility into where any file or box, at any location is located. There are a variety of records generated due to wide range of administrative documentation such as contract management and back operations. In addition, there are customer account openings in the utility segment of energy, payment solutions, records management and digital conversion services for active and historical drilling, production, and land management records. The industry is loaded with a mass of documentation and the process can be paper intensive. With an abundance of records such as contracts, property documentation, public land records, land leases, engineering documents, land files, property titles, wells records, mineral deeds, tax forms, environment impact records, and health and safety regulatory documents, it is vital to have a proper records management system that classifies and indexes different record types according to established governance rules. Strategic planning and streamlined processes are essential to meeting regulations such as environmental impact, governance and compliance, and massive risk management concerns. Collaboration is a crucial element in any successful business, and document control solutions are necessary. Now, more than ever, there is an urgent need to replace outdated paper-based processes, which still exist in the oil and gas industry. Natural disasters can damage or delete irreplaceable paper files forever, resulting in a catastrophic loss of data. Also, if any information is stored in a software system, it is possible that legacy software is out of date and non-intuitive, reaching end of life in service and support from the original vendors. Regardless of file type, it's important that all records must be complete, verifiable, and trackable. An integrated records and information management system can not only improve records management compliance but drastically reduce inefficient, manual processes. Locating specific records will take a matter of seconds, reducing costs. The process of remotely accessing critical information will quickly give employees the access to crucial documentation they need. Finally, companies will be able to purge and destroy documentation in a controlled, compliant way.